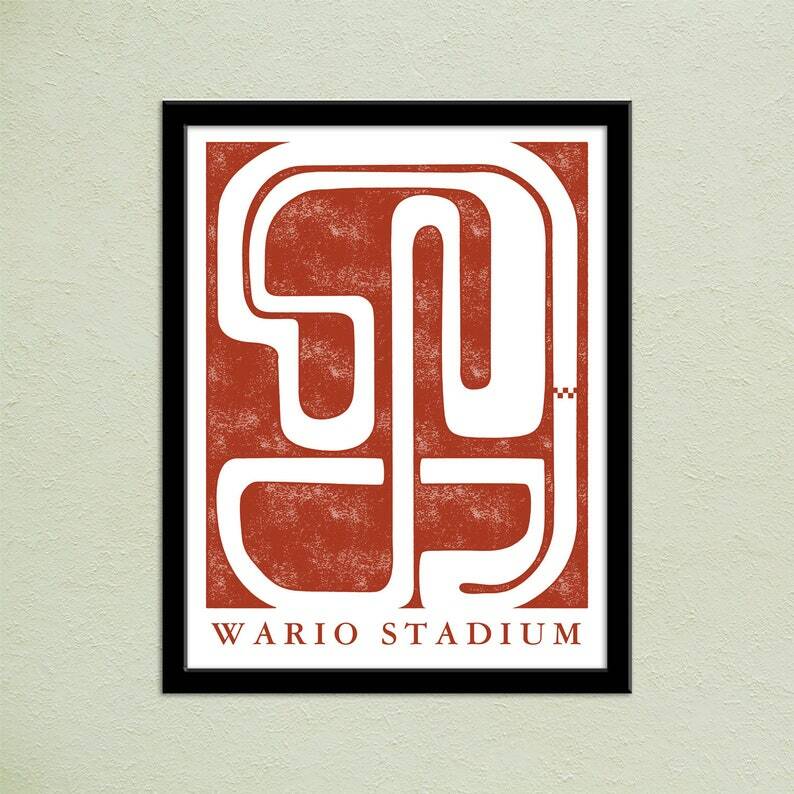 This is a map of the Wario Stadium Track from the Star Cup on Mario Kmart 64. 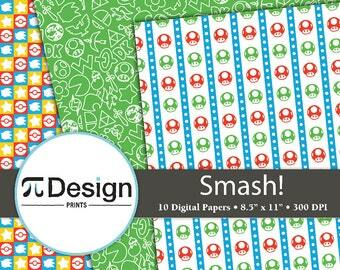 Great for any Super Mario fan in your life. Everything mailed is covered in a cello clear bag and sent out in a rigid cardboard mailer that has been reinforced with extra cardboard. All items are printed to order so please allow up to 5 business days to process before shipping. Do not buy your 4th free print. Write in the notes on the sale (at checkout) the name of the print you would like. The free print will be the same size as prints purchased. If you do not choose a 4th print one will be selected for you based upon other purchased prints.